This article is about the Roman dictator. For other uses, see Sulla (disambiguation). Lucius Cornelius Sulla Felix (/ˈsʌlə/; c. 138 BC – 78 BC), known commonly as Sulla, was a Roman general and statesman. He had the distinction of holding the office of consul twice, as well as reviving the dictatorship. 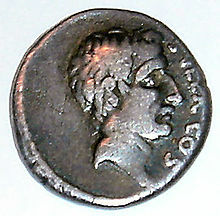 Sulla was a skillful general, achieving numerous successes in wars against different opponents, both foreign and Roman. He was awarded a Grass Crown, the most prestigious Roman military honor, during the Social War. Sulla's dictatorship came during a high point in the struggle between optimates and populares, the former seeking to maintain the Senate's oligarchy, and the latter espousing populism. In a dispute over the eastern army command (initially awarded to Sulla by the Senate but withdrawn as a result of Gaius Marius's intrigues), Sulla marched on Rome in an unprecedented act and defeated Marius in battle. In 81 BC, after his second march on Rome, he revived the office of dictator, which had been inactive since the Second Punic War over a century before, and used his powers to enact a series of reforms to the Roman Constitution, meant to restore the primacy of the Senate and limit the power of the tribunes. Sulla's ascension was also marked by political purges in proscriptions. After seeking election to and holding a second consulship, he retired to private life and died shortly after. Sulla's life was habitually included in the ancient biographical collections of leading generals and politicians, originating in the biographical compendium of famous Romans published by Marcus Terentius Varro. In Plutarch's Parallel Lives Sulla is paired with the Spartan general and strategist Lysander. In older sources, his name may be found as Sylla. This is a Hellenism, like sylva for classical Latin silva, reinforced by the fact that two major ancient sources, Plutarch and Appian, wrote in Greek, and call him Σύλλα. Sulla, the son of Lucius Cornelius Sulla and the grandson of Publius Cornelius Sulla, was born into a branch of the patrician gens Cornelia, but his family had fallen to an impoverished condition at the time of his birth. Lacking ready money, Sulla spent his youth amongst Rome’s comics, actors, lute-players, and dancers. He retained an attachment to the debauched nature of his youth until the end of his life; Plutarch mentions that during his last marriage – to Valeria – he still kept company with "actresses, musicians, and dancers, drinking with them on couches night and day". It seems certain that Sulla received a good education. Sallust declares him well-read and intelligent, and he was fluent in Greek, which was a sign of education in Rome. The means by which Sulla attained the fortune which later would enable him to ascend the ladder of Roman politics, the Cursus honorum, are not clear, although Plutarch refers to two inheritances; one from his stepmother and the other from a low-born but rich unmarried lady. The Jugurthine War had started in 112 BC when Jugurtha, grandson of Massinissa of Numidia, claimed the entire kingdom of Numidia in defiance of Roman decrees that divided it between several members of the royal family. Rome declared war on Jugurtha in 111 BC, but for five years Roman legions under Quintus Caecilius Metellus were unsuccessful. Gaius Marius, a lieutenant of Metellus, saw an opportunity to usurp his commander and fed rumors of incompetence and delay to the publicani (tax gatherers) in the region. These machinations caused calls for Metellus's removal; despite delaying tactics by Metellus, in 107 BC Marius returned to Rome to stand for the consulship. Marius was elected consul and took over the campaign while Sulla was nominated quaestor to him. Under Marius, the Roman forces followed a very similar plan as under Metellus and ultimately defeated the Numidians in 106 BC, thanks in large part to Sulla's initiative in capturing the Numidian king. He had persuaded Jugurtha's father-in-law, King Bocchus I of Mauretania (a nearby kingdom), to betray Jugurtha who had fled to Mauretania for refuge. It was a dangerous operation from the first, with King Bocchus weighing up the advantages of handing Jugurtha over to Sulla or Sulla over to Jugurtha. The publicity attracted by this feat boosted Sulla's political career. A gilded equestrian statue of Sulla donated by King Bocchus was erected in the Forum to commemorate his accomplishment. Although Sulla had engineered this move, as Sulla was serving under Marius at the time, Marius took credit for this feat. In 104 BC, the migrating Germanic-Celtic alliance headed by the Cimbri and the Teutones seemed to be heading for Italy. As Marius was the best general Rome had, the Senate allowed him to lead the campaign against them. Sulla served on Marius' staff as tribunus militum during the first half of this campaign. Finally, with those of his colleague, proconsul Quintus Lutatius Catulus, Marius' forces faced the enemy tribes at the Battle of Vercellae in 101 BC. Sulla had by this time transferred to the army of Catulus to serve as his legatus, and is credited as being the prime mover in the defeat of the tribes (Catulus being a hopeless general and quite incapable of cooperating with Marius). Victorious at Vercellae, Marius and Catulus were both granted triumphs as the co-commanding generals. Returning to Rome, Sulla was Praetor urbanus for 97 BC. In c. 95 BC he was appointed pro consule to the province of Cilicia (in Anatolia). While in the East, Sulla was the first Roman magistrate to meet a Parthian ambassador, Orobazus, and by taking the seat between the Parthian ambassador and the ambassador from Cappadocia he, perhaps unintentionally, slighted the Parthian king by portraying the Parthians and the Cappadocians as equals. The Parthian ambassador, Orobazus, was executed upon his return to Parthia for allowing this humiliation. It was at this meeting that Sulla was told by a Chaldean seer that he would die at the height of his fame and fortune. This prophecy was to have a powerful hold on Sulla throughout his lifetime. In 94 BC Sulla repulsed the forces of Tigranes the Great of Armenia from Cappadocia. Later in 94 BC Sulla left the East and returned to Rome, where he aligned himself with the optimates in opposition to Gaius Marius. The Social War (91–88 BC) resulted from Rome's intransigence regarding the civil liberties of the Socii, Rome's Italian allies. The Socii were old enemies of Rome that submitted (such as the Samnites) whereas the Latins were confederates of longer standing with Rome; therefore the Latins were given more respect and better treatment. Subjects of the Roman Republic, these Italian provincials might be called to arms in its defence or might be subjected to extraordinary taxes, but they had no say in the expenditure of these taxes or in the uses of the armies that might be raised in their territories. The Social War was, in part, caused by the continued rebuttal of those who sought to extend Roman citizenship to the Socii and to address various injustices inherent in the Roman system. The Gracchi, Tiberius and Gaius, were successively killed by optimate supporters who sought to maintain the status quo. The assassination of Marcus Livius Drusus the Younger, whose reforms were intended not only to strengthen the position of the Senate but also to grant Roman Citizenship to the allies, greatly angered the Socii. In consequence, most allied against Rome, leading to the outbreak of the Social War. At the beginning of the Social War, the Roman aristocracy and Senate were beginning to fear Gaius Marius's ambition, which had already given him 6 consulships (including 5 in a row, from 104 BC to 100 BC). They were determined that he should not have overall command of the war in Italy. In this last rebellion of the Italian allies, Sulla outshone both Marius and the consul Gnaeus Pompeius Strabo (the father of Pompey). 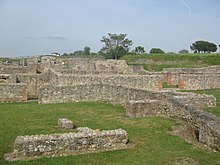 In 89 BC Sulla captured Aeclanum, the chief town of the Hirpini, by setting the wooden breastwork on fire. As a result of his success in bringing the Social War to a successful conclusion, he was elected consul for the first time in 88 BC, with Quintus Pompeius Rufus (soon his daughter's father-in-law) as his colleague. 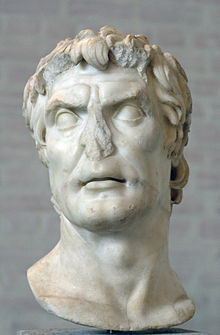 Sulla served exceptionally as a general during the Social War. At Nola he was awarded a Corona Obsidionalis (Obsidional or Blockade Crown), also known as a Corona Graminea (Grass Crown). This was the highest Roman military honour, awarded for personal bravery to a commander who saves a Roman legion or army in the field. Unlike all other Roman military honours, it was awarded by acclamation of the soldiers of the rescued army, and consequently very few were ever awarded. The crown, by tradition, was woven from grasses and other plants taken from the actual battlefield. As consul, Sulla prepared to depart once more for the East, to fight the first Mithridatic War, by the appointment of the Senate. But he would leave trouble behind him. Marius was now an old man, but he still wanted to lead the Roman armies against King Mithridates VI of Pontus. Before leaving for the East, Sulla and his colleague Quintus Pompeius Rufus blocked legislation of the tribune Publius Sulpicius Rufus to ensure the rapid organisation of the Italian Allies within the Roman citizenship. When Sulpicius found an ally in Marius who would support the bill, he had his supporters riot. Sulla returned to Rome from the siege at Nola to meet with Pompeius Rufus; however, Sulpicius' followers attacked the meeting, forcing Sulla to take refuge in Marius' house, who then forced him to support Sulpicius' pro-Italian legislation. Sulla's own son-in-law was killed in those riots. After Sulla left Rome again for Nola, Sulpicius (after receiving a promise from Marius to wipe out his enormous debts) called an assembly to reverse the Senate's decision granting Sulla command, transferring it to Marius. Sulpicius also used the assemblies to eject Senators from the Roman Senate until there were not enough senators to form a quorum. Violence in the Forum ensued, some nobles tried to lynch Sulpicius (as had been done to the brothers Gracchi, and to Saturninus) but failed in the face of his bodyguard of gladiators. Sulla received news of this at the camp of his victorious Social War veterans, waiting in the south of Italy to cross to Greece. He announced the measures that had been taken against him, and his soldiers stoned the envoys of the assemblies who came to announce that the command of the Mithridatic War had been transferred to Marius. Sulla then took six of his most loyal legions and marched on Rome. This was an unprecedented event. No general before him had ever crossed the city limits, the pomoerium, with his army. Most of his commanders (with the exception of his kinsman through marriage Lucullus) refused to accompany him. Sulla justified his actions on the grounds that the Senate had been neutered and the mos maiorum ("the way of the elders"/"the traditional way", which amounted to a Roman constitution though none of it was codified as such) had been offended by the Senate's negation of the rights of the year's consuls to fight the year's wars. Armed gladiators were unable to resist organized Roman soldiers; and although Marius offered freedom to any slave that would fight with him against Sulla (an offer which Plutarch says only three slaves accepted) he and his followers were forced to flee the city. Sulpicius was betrayed and killed by one of his slaves, whom Sulla subsequently freed and then executed (being freed for the information leading to Sulpicius' death, but sentenced to death for betraying his master). Marius, however, fled to safety in Africa. With Sulla out of Rome, Marius plotted his return. During his period of exile, Marius became determined that he would hold a seventh consulship, as foretold by the Sibyl decades earlier. By the end of 87 BC Marius returned to Rome with the support of Lucius Cornelius Cinna and, in Sulla's absence, took control of the city. Marius declared Sulla's reforms and laws invalid and officially exiled Sulla. Marius and Cinna were elected consuls for the year 86 BC. Marius died a fortnight after, and Cinna was left in sole control of Rome. In the spring of 87 BC Sulla landed at Dyrrachium, in Illyria. 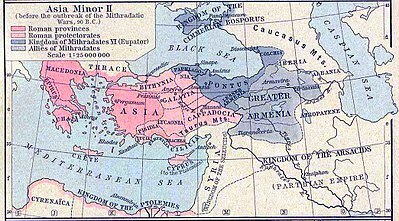 Asia was occupied by the forces of Mithridates under the command of Archelaus. Sulla’s first target was Athens, ruled by a Mithridatic puppet; the tyrant Aristion. Sulla moved southeast, picking up supplies and reinforcements as he went. Sulla’s chief of staff was Lucullus, who went ahead of him to scout the way and negotiate with Bruttius Sura, the existing Roman commander in Greece. After speaking with Lucullus, Sura handed over the command of his troops to Sulla. At Chaeronea, ambassadors from all the major cities of Greece (except Athens) met with Sulla, who impressed on them Rome's determination to drive Mithridates from Greece and Asia Province. Sulla then advanced on Athens. On arrival, Sulla threw up siege works encompassing not only Athens but also the port of Piraeus. At the time Archelaus had command of the sea, so Sulla sent Lucullus to raise a fleet from the remaining Roman allies in the eastern Mediterranean. His first objective was Piraeus, as without it Athens could not be re-supplied. Huge earthworks were raised, isolating Athens and its port from the land side. Sulla needed wood, so he cut down everything, including the sacred groves of Greece, up to 100 miles from Athens. When more money was needed he took from temples and Sibyls alike. The currency minted from this treasure was to remain in circulation for centuries and was prized for its quality. Despite the complete encirclement of Athens and its port, and several attempts by Archelaus to raise the siege, a stalemate seemed to have developed. Sulla, however, patiently bided his time. Soon Sulla's camp was to fill with refugees from Rome, fleeing the massacres of Marius and Cinna. These also included his wife and children, as well as those of the optimate faction who had not been killed. His spies then informed him that Aristion was neglecting the Heptachalcum (part of the city wall). Sulla immediately sent sappers to undermine the wall. Nine hundred feet of wall was brought down between the Sacred and Piraeic gates on the southwest side of the city. A midnight sack of Athens began, and after the taunts of Aristion, Sulla was not in a mood to be magnanimous. Blood was said to have literally flowed in the streets; it was only after the entreaties of a couple of his Greek friends (Midias and Calliphon) and the pleas of the Roman Senators in his camp that Sulla decided enough was enough. He then concentrated his forces on the Port of Piraeus, and Archelaus, seeing his hopeless situation, withdrew to the citadel and then abandoned the port to join up with his forces under the command of Taxiles. Sulla, as yet not having a fleet, was powerless to prevent Archelaus’ escape. Before leaving Athens, he burnt the port to the ground. Sulla then advanced into Boeotia to take on Archelaus's armies and remove them from Greece. Sulla lost no time in intercepting the Pontic army, occupying a hill called Philoboetus that branched off Mount Parnassus, overlooking the Elatean plain, with plentiful supplies of wood and water. The army of Archelaus, presently commanded by Taxiles, had to approach from the north and proceed along the valley towards Chaeronea. Over 120,000 strong, it outnumbered Sulla's forces by at least 3 to 1. Archelaus was in favour of a policy of attrition with the Roman forces, but Taxiles had orders from Mithridates to attack at once. Sulla got his men digging, and occupied the ruined city of Parapotamii, which was impregnable and commanded the fords on the road to Chaeronea. He then made a move that looked to Archelaus like a retreat. He abandoned the fords and moved in behind an entrenched palisade. Behind the palisade were the field artillery from the siege of Athens. Archelaus advanced across the fords and tried to outflank Sulla’s men, only to have his right wing hurled back, causing great confusion in the Pontic army. Archelaus’s chariots then charged the Roman centre, only to be destroyed on the palisades. Next came the phalanxes: they too found the palisades impassable, and received withering fire from the Roman field artillery. Then Archelaus flung his right wing at the Roman left; Sulla, seeing the danger of this manoeuvre, raced over from the Roman right wing to help. Sulla stabilized the situation, at which point Archelaus flung in more troops from his right flank. This destabilized the Pontic army, slewing it towards its right flank. Sulla dashed back to his own right wing and ordered the general advance. The legions, supported by cavalry, dashed forward and Archelaus’ army folded in on itself, like closing a pack of cards. The slaughter was terrible, and some reports estimate that only 10,000 men of Mithridates' original army survived. Sulla had defeated a vastly superior force in terms of numbers. He chose the site of the battle to come — Orchomenus, a town in Boeotia that allowed a smaller army to meet a much larger one, due to its natural defences, and was ideal terrain for Sulla's innovative use of entrenchment. This time the Pontic army was in excess of 150,000, and it encamped itself in front of the busy Roman army, next to a large lake. It soon dawned on Archelaus what Sulla was up to. Sulla had not only been digging trenches but also dikes, and before long he had the Pontic army in deep trouble. Desperate sallies by the Pontic forces were repulsed by the Romans and the dikes moved onward. On the second day, Archelaus made a determined effort to escape Sulla’s web of dikes—the entire Pontic army was hurled at the Romans—but the Roman legionaries were pressed together so tightly that their short swords were like an impenetrable barrier, through which the enemy could not escape. The battle turned into a rout, with slaughter on an immense scale. Plutarch notes that two hundred years later, armour and weapons from the battle were still being found. The battle of Orchomenus was another of the world's decisive battles. It determined that the fate of Asia Minor lay with Rome and her successors for the next millennium. In 86 BC, after Sulla's victory in Orchomenos, he initially spent some time re-establishing Roman authority. His legate soon arrived with the fleet he was sent to gather, and Sulla was ready to recapture lost Greek islands before crossing into Asia Minor. The second Roman army under the command of Flaccus, meanwhile, moved through Macedonia and into Asia Minor. After the capture of Philippi, the remaining Mithridatic forces crossed the Hellespont to get away from the Romans. Fimbria encouraged his forces to loot and create general havoc as they went. Flaccus was a fairly strict disciplinarian and the behaviour of his lieutenant led to discord between the two. At some point, as this army crossed the Hellespont to pursue Mithridates' forces, Fimbria seems to have started a rebellion against Flaccus. While seemingly minor enough to not cause immediate repercussions in the field, Fimbria was relieved of his duty and ordered back to Rome. The return trip included a stop at the port city of Byzantium, however, and here Fimbria took command of the garrison, rather than continue home. Flaccus, hearing of this, marched his army to Byzantium to put a stop to the rebellion, but walked right into his own undoing. The army preferred Fimbria (not surprising considering his leniency in regard to plunder) and a general revolt ensued. Flaccus attempted to flee, but was captured shortly after and the consul was executed. With Flaccus out of the way, Fimbria took complete command. The following year (85 BC) Fimbria took the fight to Mithridates while Sulla continued to operate in the Aegean. Fimbria quickly won a decisive victory over remaining Mithridatic forces and moved on the capital of Pergamum. With all vestige of hope crumbling for Mithridates, he fled Pergamum to the coastal city of Pitane. Fimbria, in pursuit, laid siege to the town, but had no fleet to prevent Mithridates' escape by sea. Fimbria called upon Sulla's legate, Lucullus, to bring his fleet around to blockade Mithridates, but it seems that Sulla had other plans. Sulla apparently had been in private negotiation with Mithridates to end the war. He wanted to develop easy terms and get the ordeal over as quickly as possible. The quicker it was dealt with, the faster he would be able to settle political matters in Rome. With this in mind, Lucullus and his navy refused to help Fimbria, and Mithridates 'escaped' to Lesbos. Later at Dardanus, Sulla and Mithridates met personally to negotiate terms. With Fimbria re-establishing Roman hegemony over the cities of Asia Minor, Mithridates' position was completely untenable. Yet Sulla, with his eyes on Rome, offered uncharacteristically mild terms. Mithridates was forced to give up all his conquests (which Sulla and Fimbria had already managed to take back by force), surrender any Roman prisoners, provide a 70 ship fleet to Sulla along with supplies, and pay a tribute of 2,000 to 3,000 gold talents. In exchange, Mithridates was able to keep his original kingdom and territory and regain his title of "friend of the Roman people." But things in the east weren't yet settled. Fimbria was enjoying free rein in the province of Asia and led a cruel oppression of both those who were involved against Romans, and those who were now in support of Sulla. Unable to leave a potentially dangerous army in his rear, Sulla crossed into Asia. He pursued Fimbria to his camp at Thyatira where Fimbria was confident in his ability to repulse an attack. Fimbria, however, soon found that his men wanted nothing to do with opposing Sulla and many deserted or refused to fight in the coming battle. Sensing all was lost, Fimbria took his own life, while his army went over to Sulla. To ensure the loyalty of both Fimbria's troops and his own veterans, who weren't happy about the easy treatment of their enemy, Mithridates, Sulla now started to penalize the province of Asia. His veterans were scattered throughout the province and allowed to extort the wealth of local communities. Large fines were placed on the province for lost taxes during their rebellion and the cost of the war. As the year 84 BC began, Cinna, still Consul in Rome, was faced with minor disturbances among Illyrian tribes. Perhaps in an attempt to gain experience for an army to act as a counter to Sulla's forces, or to show Sulla that the Senate also had some strength of its own, Cinna raised an army to deal with this Illyrian problem. Conveniently the source of the disturbance was located directly between Sulla and another march on Rome. Cinna pushed his men hard to move to position in Illyria, and forced marches through snow-covered mountains did little to endear Cinna to his army. A short time after departing Rome, Cinna was stoned to death by his own men. Hearing of Cinna's death, and the ensuing power gap in Rome, Sulla gathered his forces and prepared for a second march on the capital. In 83 BC Sulla prepared his five legions and left the two originally under Fimbria to maintain peace in Asia Minor. In the spring of that year, Sulla crossed the Adriatic with a large fleet from Patrae, west of Corinth, to Brundisium and Tarentum in the heel of Italy. Landing uncontested, he had ample opportunity to prepare for the coming war. In Rome the newly elected consuls, L. Cornelius Scipio Asiaticus (Asiagenus) and C. Norbanus levied and prepared armies of their own to stop Sulla and protect the Republican government. Norbanus marched first with the intention of blocking a Sullan advance at Canusium. Seriously defeated, Norbanus was forced to retreat to Capua where there was no respite. Sulla followed his defeated adversary and won another victory in a very short time. Meanwhile, Asiagenus was also on the march south with an army of his own. Either Asiagenus or his army, however, seemed to have little motivation to fight. At the town of Teanum Sidicinum, Sulla and Asiagenus met face-to-face to negotiate and Asiagenus surrendered without a fight. The army sent to stop Sulla wavered in the face of battle against experienced veterans, and certainly along with the prodding of Sulla's operatives, gave up the cause, going over to Sulla's side as a result. Left without an army, Asiagenus had little choice but to cooperate and later writings of Cicero suggest that the two men actually discussed many matters regarding Roman government and the Constitution. Sulla let Asiagenus leave the camp, firmly believing him to be a supporter. He was possibly expected to deliver terms to the Senate, but immediately rescinded any thought of supporting Sulla upon being set free. Sulla later made it publicly known that not only would Asiagenus suffer for opposing him, but that any man who continued to oppose him after this betrayal would suffer bitter consequences. With Sulla's three quick victories, though, the situation began to rapidly turn in his favour. Many of those in a position of power, who had not yet taken a clear side, now chose to support Sulla. The first of these was Q. Caecilius Metellus Pius, who governed Africa. The old enemy of Marius, and assuredly of Cinna as well, led an open revolt against the Marian forces in Africa. Additional help came from Picenum and Spain. Two of the three future triumvirs joined Sulla's cause in his bid to take control. Marcus Licinius Crassus marched with an army from Spain, and would later play a pivotal role at the Colline Gates. The young son of Pompeius Strabo (the butcher of Asculum during the Social War), Pompey, raised an army of his own from among his father's veterans and threw his lot in with Sulla. At the age of 23, and never having held a senatorial office, Pompey forced himself into the political scene with an army at his back. Regardless, the war would continue on with Asiagenus raising another army in defence. This time he moved after Pompey, but once again, his army abandoned him and went over to the enemy. As a result, desperation followed in Rome as the year 83 came to a close. The Senate re-elected Cinna's old co-Consul, Papirius Carbo, to his third term, and Gaius Marius the Younger, the 26-year-old son of the dead consul, to his first. Hoping to inspire Marian supporters throughout the Roman world, recruiting began in earnest among the Italian tribes who had always been loyal to Marius. In addition, possible Sullan supporters were murdered. The urban praetor L. Junius Brutus Damasippus led a slaughter of those senators who seemed to lean towards the invading forces--yet one more incident of murder in a growing spiral of violence as a political tool in the late Republic. As the campaign year of 82 BC opened, Carbo took his forces to the north to oppose Pompey while Marius moved against Sulla in the south. Attempts to defeat Pompey failed and Metellus with his African forces along with Pompey secured northern Italy for Sulla. In the south, young Marius gathered a large host of Samnites, who assuredly would lose influence with the anti-popular Sulla in charge of Rome. Marius met Sulla at Sacriportus and the two forces engaged in a long and desperate battle. In the end, many of Marius' men switched sides over to Sulla and he had no choice but to retreat to Praeneste. Sulla followed the son of his arch-rival and laid siege to the town, leaving a subordinate in command. Sulla himself moved north to push Carbo, who had withdrawn to Etruria to stand between Rome and the forces of Pompey and Metellus. Indecisive battles were fought between Carbo and Sulla's forces but Carbo knew that his cause was lost. News arrived of a defeat by Norbanus in Gaul, and that he also switched sides to Sulla. Carbo, caught between three enemy armies and with no hope of relief, fled to Africa. It was not yet the end of the resistance, however; those remaining Marian forces gathered together and attempted several times to relieve young Marius at Praeneste. A Samnite force under Pontius Telesinus joined in the relief effort but the combined armies were still unable to break Sulla. Rather than continue trying to rescue Marius, Telesinus moved north to threaten Rome. On November 1 of 82 BC, the two forces met at the Battle of the Colline Gate, just outside Rome. The battle was a huge and desperate final struggle with both sides certainly believing their own victory would save Rome. Sulla was pushed hard on his left flank with the situation so dangerous that he and his men were pushed right up against the city walls. Crassus' forces, fighting on Sulla's right however, managed to turn the opposition's flank and drive them back. The Samnites and the Marian forces were folded up and broke. In the end, over 50,000 combatants lost their lives and Sulla stood alone as the master of Rome. At the end of 82 BC or the beginning of 81 BC, the Senate appointed Sulla dictator legibus faciendis et reipublicae constituendae causa ("dictator for the making of laws and for the settling of the constitution"). The "Assembly of the People" subsequently ratified the decision, with no limit set on his time in office. Sulla had total control of the city and republic of Rome, except for Hispania (which Marius's general Quintus Sertorius had established as an independent state). This unusual appointment (used hitherto only in times of extreme danger to the city, such as during the Second Punic War, and then only for 6-month periods) represented an exception to Rome's policy of not giving total power to a single individual. Sulla can be seen as setting the precedent for Julius Caesar's dictatorship, and for the eventual end of the Republic under Augustus. In total control of the city and its affairs, Sulla instituted a series of proscriptions (a program of executing those whom he perceived as enemies of the state and confiscating their property). Plutarch states in his "Life" of Sulla (XXXI): "Sulla now began to make blood flow, and he filled the city with deaths without number or limit", further alleging that many of the murdered victims had nothing to do with Sulla, though Sulla killed them to "please his adherents". The young Gaius Julius Caesar, as Cinna's son-in-law, became one of Sulla's targets and fled the city. He was saved through the efforts of his relatives, many of whom were Sulla's supporters, but Sulla noted in his memoirs that he regretted sparing Caesar's life, because of the young man's notorious ambition. The historian Suetonius records that when agreeing to spare Caesar, Sulla warned those who were pleading his case that he would become a danger to them in the future, saying: "In this Caesar there are many Mariuses." Sulla, who opposed the Gracchian popularis reforms, was an optimate; though his coming to the side of the traditional Senate originally could be described as more reactionary when dealing with the Tribunate and legislative bodies, while more visionary when reforming the court system, governorships and membership of the Senate. As such, he sought to strengthen the aristocracy, and thus the Senate. Sulla retained his earlier reforms, which required senatorial approval before any bill could be submitted to the Plebeian Council (the principal popular assembly), and which had also restored the older, more aristocratic "Servian" organization to the Centuriate Assembly (assembly of soldiers). Sulla, himself a patrician and thus ineligible for election to the office of Plebeian Tribune, thoroughly disliked the office. As Sulla viewed the office, the Tribunate was especially dangerous and his intention was to not only deprive the Tribunate of power, but also of prestige. (Sulla himself had been officially deprived of his eastern command through the underhand activities of a tribune.) Over the previous three hundred years, the tribunes had directly challenged the patrician class and attempted to deprive it of power in favor of the plebeian class. Through Sulla's reforms to the Plebeian Council, tribunes lost the power to initiate legislation. Sulla then prohibited ex-tribunes from ever holding any other office, so ambitious individuals would no longer seek election to the Tribunate, since such an election would end their political career. Finally, Sulla revoked the power of the tribunes to veto acts of the Senate, although he left intact the tribunes' power to protect individual Roman citizens. Sulla then increased the number of magistrates elected in any given year, and required that all newly elected quaestors gain automatic membership in the Senate. These two reforms were enacted primarily to allow Sulla to increase the size of the Senate from 300 to 600 senators. This also removed the need for the censor to draw up a list of senators, since there were always more than enough former magistrates to fill the senate. To further solidify the prestige and authority of the Senate, Sulla transferred the control of the courts from the equites, who had held control since the Gracchi reforms, to the senators. This, along with the increase in the number of courts, further added to the power that was already held by the senators. Sulla also codified, and thus established definitively, the cursus honorum, which required an individual to reach a certain age and level of experience before running for any particular office. Sulla also wanted to reduce the risk that a future general might attempt to seize power, as he himself had done. To this end he reaffirmed the requirement that any individual wait for ten years before being reelected to any office. Sulla then established a system where all consuls and praetors served in Rome during their year in office, and then commanded a provincial army as a governor for the year after they left office. Finally, in a demonstration of his absolute power, Sulla expanded the "Pomerium", the sacred boundary of Rome, unchanged since the time of the kings. Sulla's reforms both looked to the past (often re-passing former laws) and regulated for the future, particularly in his redefinition of maiestas (treason) laws and in his reform of the Senate. After his second consulship, he withdrew to his country villa near Puteoli to be with family. Plutarch states in his "Life of Sulla" that he retired with his wife, and his long-time male lover, Metrobius. Plutarch mentions that "although Metrobius was past the age of youthful bloom, Sulla remained to the end of his life in love with him, and made no secret of the fact". From this distance, Sulla remained out of the day-to-day political activities in Rome, intervening only a few times when his policies were involved (e.g., the execution of Granius shortly before his own death). Sulla's goal now was to write his memoirs, which he finished in 78 BC, just before his death. They are now largely lost, although fragments from them exist as quotations in later writers. Ancient accounts of Sulla's death indicate that he died from liver failure or a ruptured gastric ulcer (symptomised by a sudden haemorrhage from his mouth followed by a fever from which he never recovered) possibly caused by chronic alcohol abuse. Accounts were also written that he had an infestation of worms, caused by the ulcers, which led to his death. His public funeral in Rome (in the Forum, in the presence of the whole city) was on a scale unmatched until that of Augustus in AD 14. Sulla's body was brought into the city on a golden bier, escorted by his veteran soldiers, and orations were delivered by several eminent senators: the main funeral oration was delivered by Lucius Marcius Philippus. Sulla's body was cremated and his ashes placed in his tomb in the Campus Martius. An epitaph, which Sulla composed himself, was inscribed onto the tomb, reading: "No friend ever served me, and no enemy ever wronged me, whom I have not repaid in full". Sulla is generally seen as having set the precedent for Caesar's march on Rome and dictatorship. Cicero comments that Pompey once said "If Sulla could, why can't I?". Sulla's example proved that it could be done, and therefore inspired others to attempt it; and in this respect, he has been seen as another step in the Republic's fall. Further, Sulla failed to frame a settlement whereby the army (following the Marian reforms allowing non-landowning soldiery) remained loyal to the Senate rather than to generals such as himself. He attempted to mitigate this by passing laws to limit the actions of generals in their provinces, and although these laws remained in effect well into the imperial period, they did not prevent determined generals such as Pompey and Julius Caesar from using their armies for personal ambition against the Senate, a danger that Sulla was intimately aware of. While Sulla's laws such as those concerning qualification for admittance to the Senate and reform of the legal system and regulations of governorships remained on Rome's statutes long into the Principate, much of his legislation was repealed less than a decade after his death. The veto power of the tribunes and their legislating authority were soon reinstated, ironically during the consulships of Pompey and Crassus. The dictator is the subject of four Italian operas, two of which take considerable liberties with history: Lucio Silla by Wolfgang Amadeus Mozart and the Silla by George Frideric Handel. In each he is portrayed as a bloody, womanizing, ruthless tyrant who eventually repents his ways and steps down from the throne of Rome. Also Pasquale Anfossi and Johann Christian Bach wrote operas on this subject. Sulla is an important character in the first three Masters of Rome novels of Colleen McCullough. Sulla is depicted as ruthless and amoral, very self-assured, personally brave, and charming, especially with women. His charm and ruthlessness make him a valuable aide to Gaius Marius. Sulla’s desire to move out of the shadow of aging Marius eventually leads to civil war. 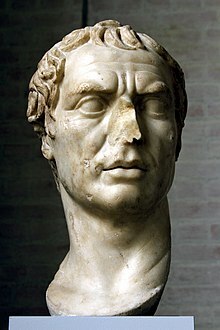 Sulla softened considerably after the birth of his son and was devastated when he died at a young age. The novels depict Sulla full of regrets about having had to put aside his homosexual relationship with a Greek actor to take up his public career. Sulla is played by Richard Harris in the 2002 miniseries Julius Caesar. Lucius Cornelius Sulla is also a character in the first book of the Emperor novels by Conn Iggulden, which are centred around the lives of Gaius Julius Caesar and Marcus Brutus. Sulla is a major character in Roman Blood, the first of the Roma Sub Rosa mystery novels by Steven Saylor. First wife, "Ilia" (according to Plutarch). If Plutarch's text is to be amended to "Julia", then she is likely to have been one of the Julias related to Julius Caesar, most likely Julia Caesaris, Caesar's first-cousin once-removed. Third wife, Cloelia. Sulla divorced her due to sterility. Cornelia Fausta, married first to Gaius Memmius (praetor in 58 BC), then later to Titus Annius Milo (praetor in 54 BC). Mother of Gaius Memmius, suffect consul in 34 BC. Sulla was red-blond, blue-eyed, and had a dead-white face covered with red marks. Plutarch notes that Sulla considered that "his golden head of hair gave him a singular appearance". He was said to have a duality between being charming and easily approachable, able to joke and cavort with the most simple of people while also assuming a dictatorial stern demeanor when he was leading armies and as dictator. An example of the extent of his charming side was that his soldiers would sing a ditty about Sulla's one testicle, although without truth, to which he allowed as being "fond of a jest." This duality, or inconsistency, made him very unpredictable and "at the slightest pretext he might have a man crucified, but on another occasion would make light of the most appalling crimes; or he might happily forgive the most unpardonable offenses and then punish trivial, insignificant misdemeanors with death and confiscation of property." His excesses and penchant for debauchery could be attributed to the difficult circumstances of his youth, such as losing his father while he was still in his teens, retaining a doting step mother, necessitating an independent streak from an early age. The circumstances of his relative poverty as a young man left him removed from his patrician brethren, enabling him to consort with revelers and experience the baser side of human nature. This "first hand" understanding of human motivations and the ordinary Roman citizen may explain why he was able to succeed as a general despite lacking any significant military experience before his 30s. 82/1 BC: Appointed "dictator legibus faciendis et rei publicae constituendae causa"
^ L•CORNELIVS•L•F•P•N•SVLLA•FELIX in Latin inscriptions, the meaning in English is "Lucius Cornelius Sulla, son of Lucius, grandson of Publius, the Fortunate." His agnomen Felix — the fortunate — was attained later in life, as the Latin equivalent of the Greek nickname he had acquired during his campaigns, ἐπαφρόδιτος epaphroditos, beloved-of-Aphrodite or (to Romans who read Sulla's Greek title) Venus — due to his skill and luck as a general. ^ "Plutarch • Life of Sulla". penelope.uchicago.edu. Retrieved 2015-12-09. ^ Buck, Comparative grammar of Greek and Latin; Latin spelling in the late Republic is variable. He is generally known as Silla in Italian. ^ Smith, William (1870). Dictionary of Greek and Roman biography and mythology. 3. Boston, Little. p. 933. ^ Plutarch: Sulla, Sect 2. ^ Mark Davies; Hilary Swain (22 June 2010). Aspects of Roman history, 82 BC-AD 14: a source-based approach. Taylor & Francis. pp. 33–. ISBN 978-0-415-49693-3. Retrieved 10 August 2011. ^ Suetonius, Julius 77. "... No less arrogant were his public utterances, which Titus Ampius records: that the state was nothing, a mere name without body or form; that Sulla did not know his A. B. C. when he laid down his dictatorship; that men ought now to be more circumspect in addressing him, and to regard his word as law. So far did he go in his presumption, that when a soothsayer once reported direful inwards [sic] without a heart, he said: "They will be more favourable when I wish it; it should not be regarded as a portent, if a beast has no heart ..."
^ Plutarch, "The Life of Sulla", 37. ^ Valerius Maximus, ix. 3. § 8. ^ Pliny the elder, (N'H, VII,XLIV) says that "was not the close of his life more horrible than the sufferings which had been experienced by any of those who had been proscribed by him? His very flesh eating into itself, and so engendering his own punishment." ^ Valerius Maximus, Memorable Deeds and Sayings IX.3.8; Plutarch, Sulla 36-37; Appian, Civil Wars I.12.105; A. Keaveney (2005) Sulla: the Last Republican (2nd edition) p.175. ^ "Plutarch, Sulla, chapter 36". www.perseus.tufts.edu. Retrieved 2015-12-09. ^ Cicero, Ad Atticum IX 10.2. Arthur Keaveney (1982). Sulla, the last republican. pp. 228–. ISBN 978-0-7099-1507-2. Retrieved 10 August 2011. ^ Michael Crawford, Roman Republican Coinage, 1974, vol. 1, p. 449-451. ^ "Plutarch, Life of Sulla". May 2008. Retrieved 2011-07-03. ^ Plutarch, Roman Lives. Oxford University Press, 1999, Translation by Robin Waterfield, p. 181. Keaveney, Arthur, Sulla: The Last Republican, Routledge; 2nd edition (June 23, 2005). ISBN 978-0-415-33660-4. Telford Lynda, Sulla: A Dictator Reconsidered, Pen and sword; 1st edition (April 19, 2014). ISBN 978-1-783-03048-4. Chisholm, Hugh, ed. (1911). "Sulla, Lucius Cornelius" . Encyclopædia Britannica. 26 (11th ed.). Cambridge University Press. Wikimedia Commons has media related to Sulla.